WHAT'S GROWIN' ON AROUND HERE? 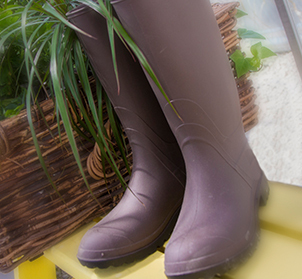 From products to pastures, we're overflowing with vibrant life! At FarmHouse Fresh, our hydroponics are in constant rotation, and our local farmers are working on the next big crop. Cutting, harvesting, and extracting within minutes is our specialty -- all to ensure vitamins are at their peak. Check out last season's launch of Peat Perfection Mask. It uses our local organic cucumber extract, combined with highly concentrated plant matter harvested from age-old, enriched wetland vegetation (Peat) -- dermatologically tested to reduce inflammation. 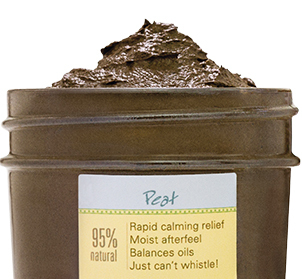 This mask is one to veg-out with, providing rapid calming relief with a moist afterfeel. Meet Nelson. In order to bring the freshest extracts to life and serve them in spa treatments from Dallas to Dubai, Nelson grows thousands of pounds of juicy ripe fruits and vegetables. 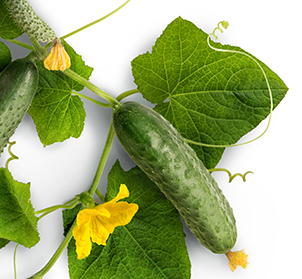 We ensure the organic cucumber harvests are grown and extracted with ZERO WASTE. 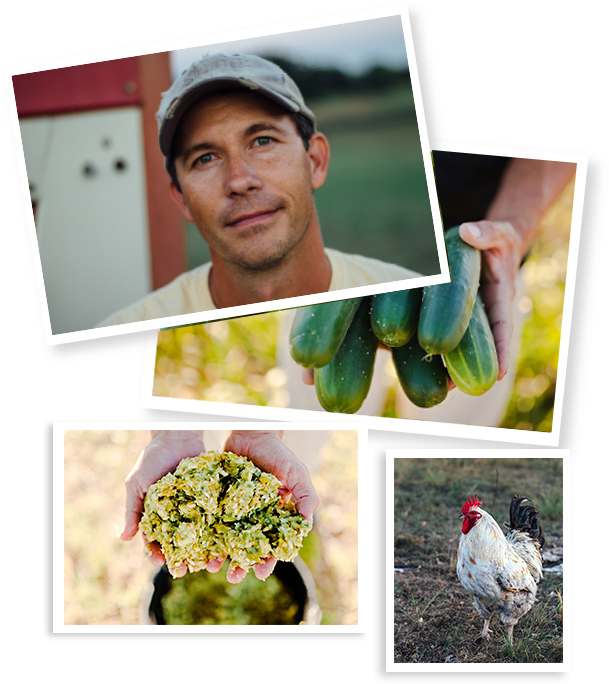 All pulp and rinds not used in our products are brought back to the farm and fed to the chickens! With our combined efforts, we plan bountiful harvests, quick-pick immediate-extraction, and deliver instant benefits to skin! IT'S INFINITELY REWARDING TO KNOW THAT WHAT WE BOTTLE HAS BEEN CARED FOR BY US AND LOCAL FARMERS WHO WATCH THE SAME SUNRISE, WITH THE SAME AWE OVER THE FIRST SPROUT.